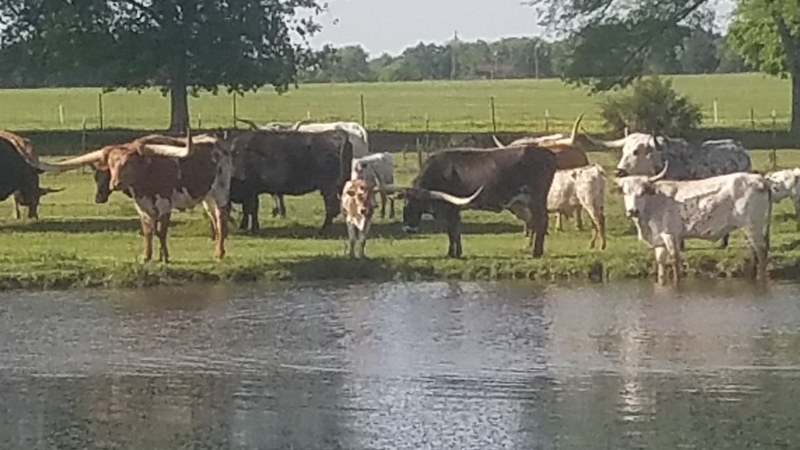 Since becoming longhorn owners and breeders, we have strived to study the breed and the bloodlines. We were lucky to start off with great cows. Since then everything we have bought has been to better the herd. 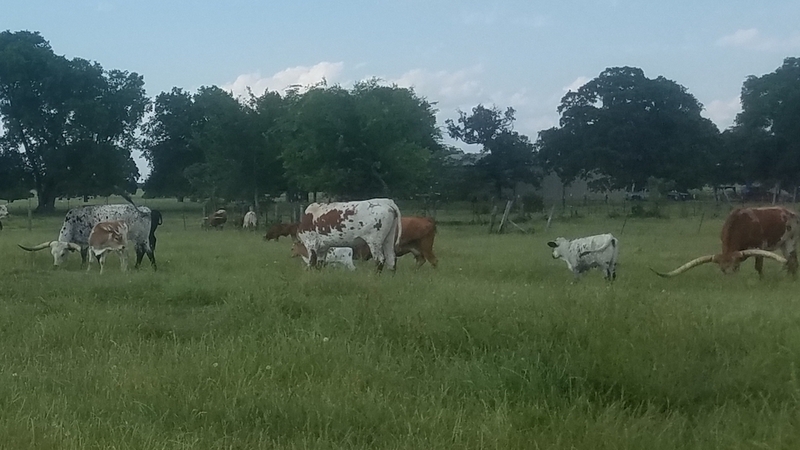 We strive to produce big correct bodied cows that are also beautiful and good producers. 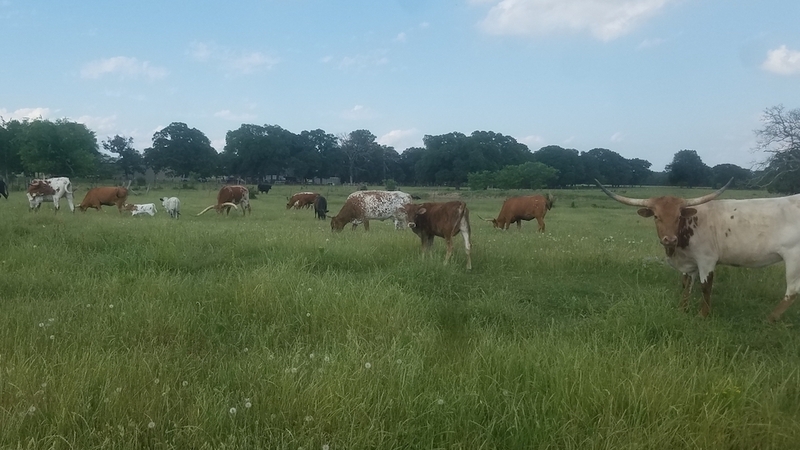 Come by and see us and our Registered Texas Longhorns in Wills Point, Tx.